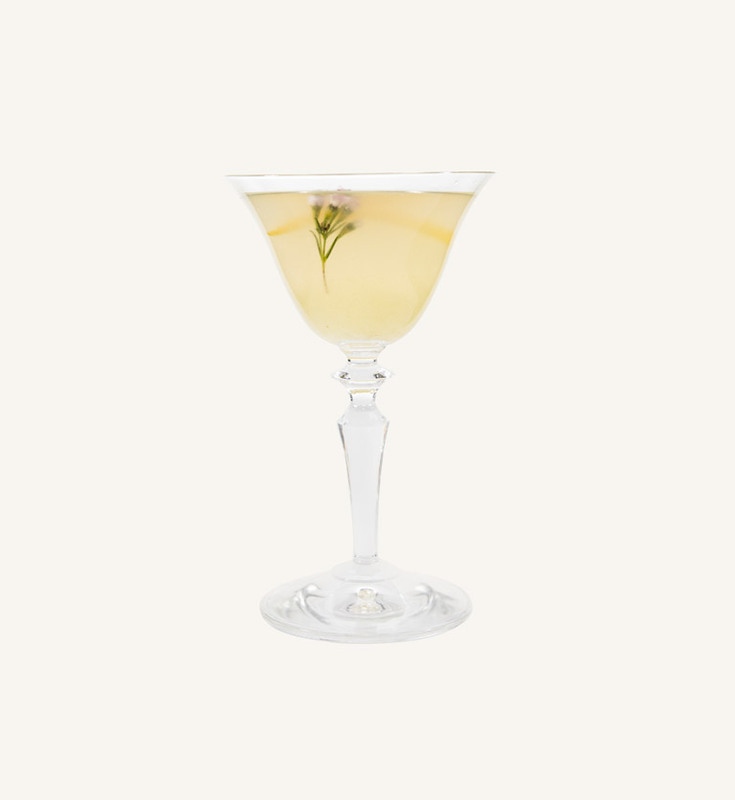 The complexity and unique taste notes of Sparkling Tea, makes it an ideal ingredient for cocktails. 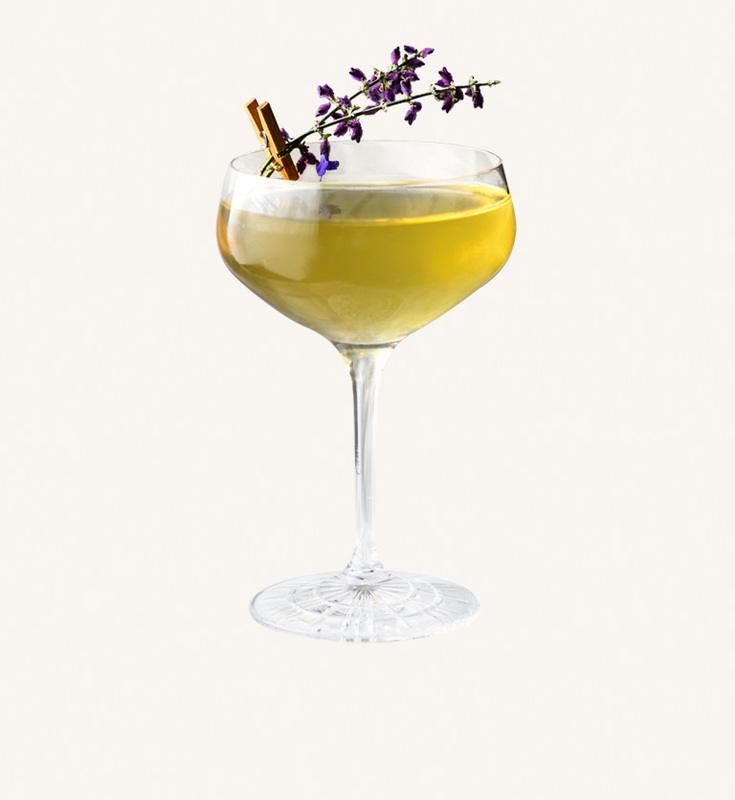 The talented and innovative cocktail creator, Christian Tang, has exploited this quality in our Sparkling Teas, and created 8 different cocktails – of course also using our BLÅ version to make non-alcoholic options. *Can be bought in specialty stores & Online, or in case of absence use another Italian Bitter. ***Mix 31grams of Tartaric Acid with 69grams of Hot water, Tartaric acid can be bought in specialty baking stores (Bottle and store for up til 4 weeks), or use 2cl Lemon Juice. So someone decided to distill kombucha & mix it with a barley distillate. We decided to mix it with Sparkling tea. So tea spirit meets the delicate yet, spicy warm tones of VINTER to create something that can stand it’s test with spicy foods, yet still be drunk on its own as an aperitif. 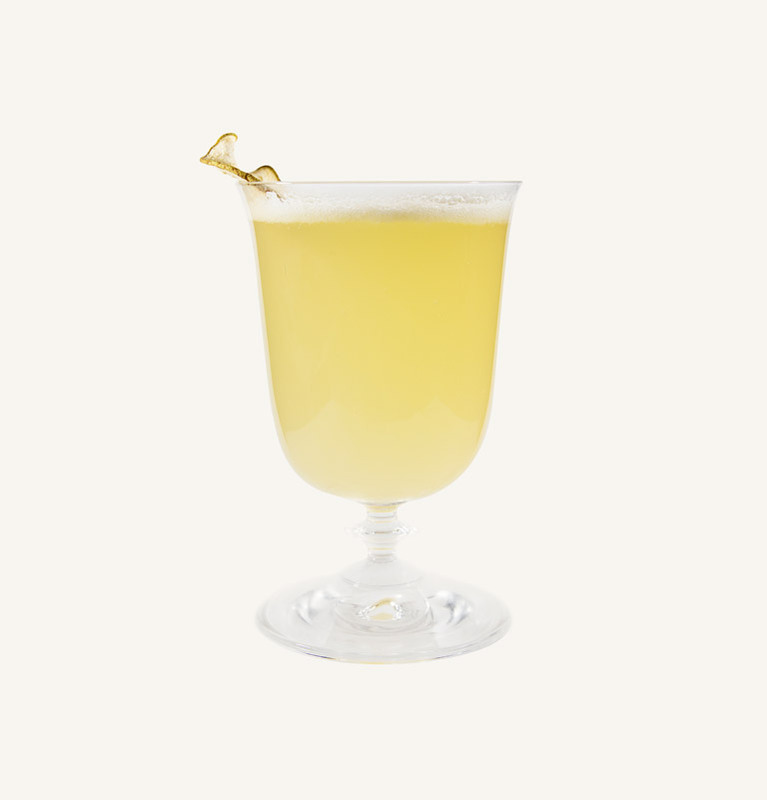 In the 20’s a popular drink called the Bee’s Knee’s surfaced, we like this drink. 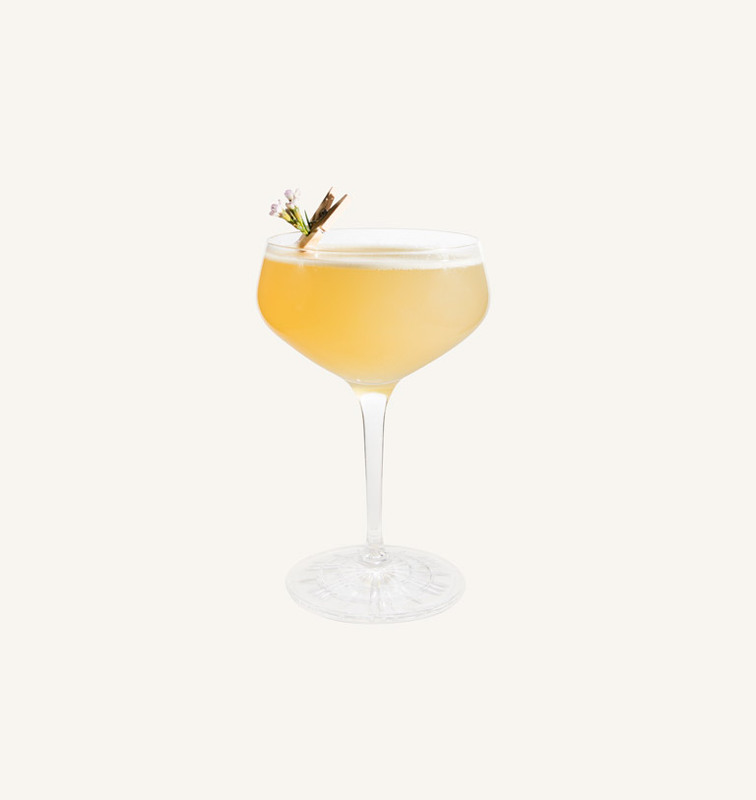 But we also like to give it a bit more body, what better way to do this, than to mix it with one of our favorites, BLÅ’s meadowsweet chamomile notes, and texture from jasmin creates a, we think, more interesting drink. **Use the RØD Sparkling Tea for something a little more sweet & herbaceous, or opt for the GRØN for something a little more full-bodied and fresh. 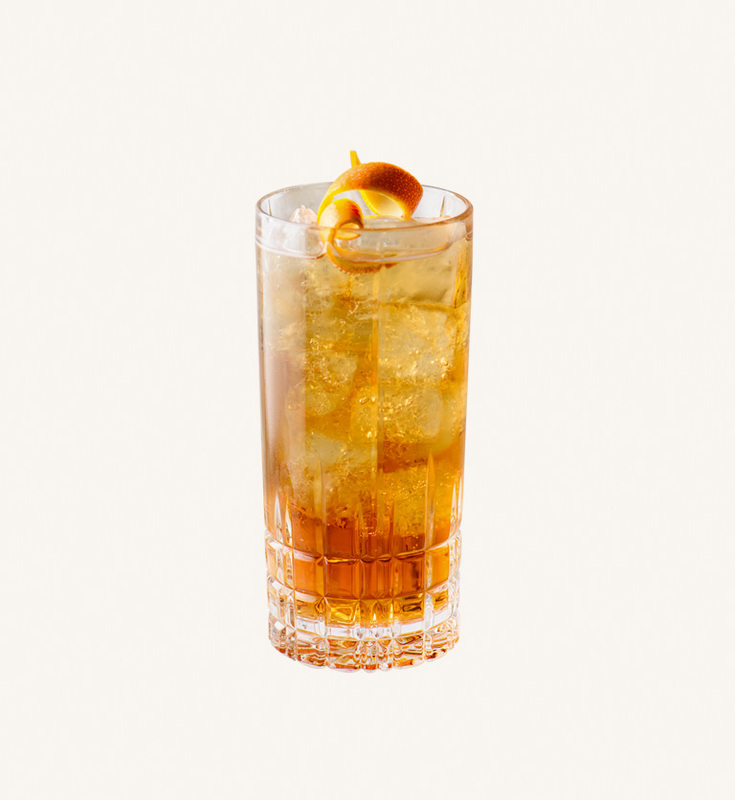 When we opened Form we added an Apple’roll Spritz to the menu, to people’s great confusion it did not contain any Aperol, but instead homemade apple liqueur. We carried on this tradition of confusing people with our spritzers. 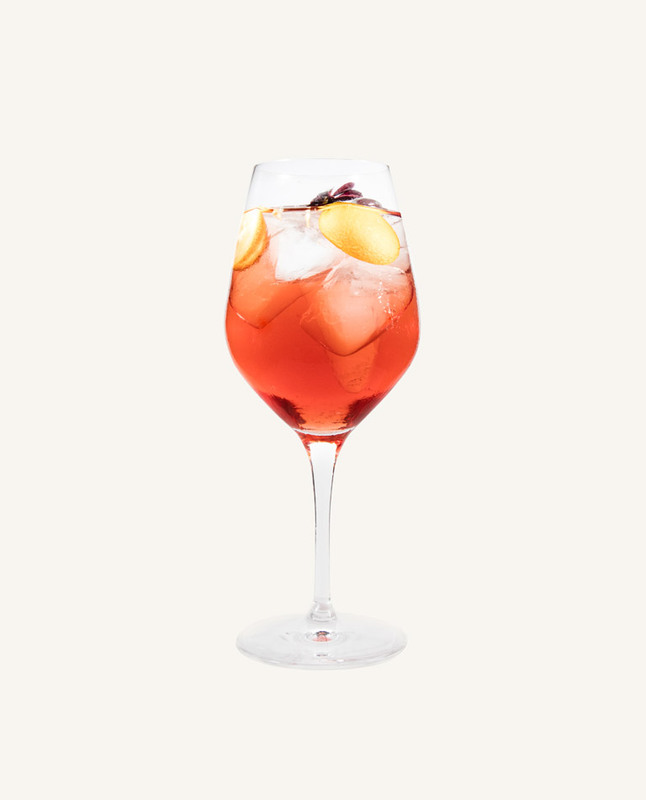 The current confusion is a combination of Amaro Mondino, bitter-sweet aperitif from Bavaria, together with the Sparkling Tea, it creates and totally different and infinitely more interesting spritzer. Few years back in Stockholm people got the idea of adding tea bags to their Gin and Tonic, we said, why not actually just add tea to it? We love adding sparkling tea to Gin, it creates a very fresh take on a long-drink. 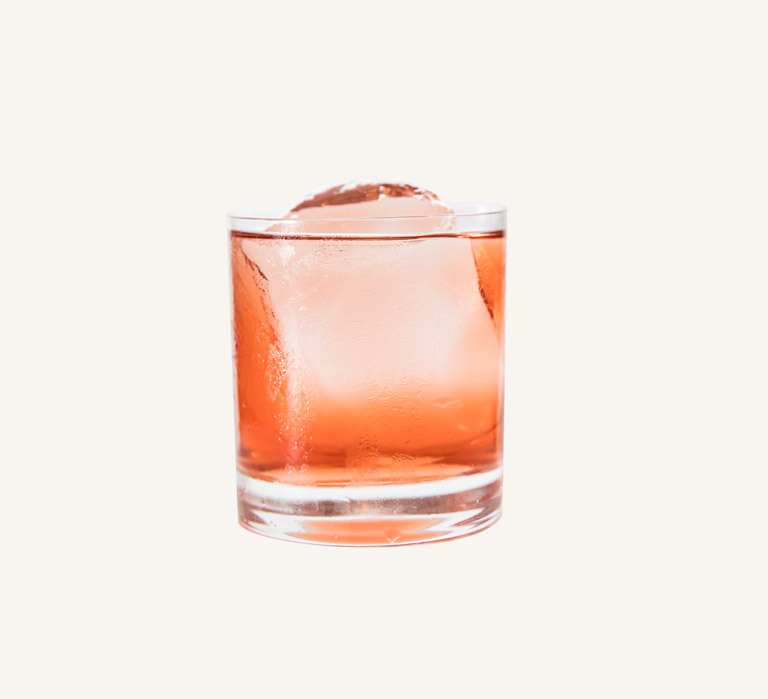 If you prefer it with more bitterness, try adding any kind of bitters, like Angostura. 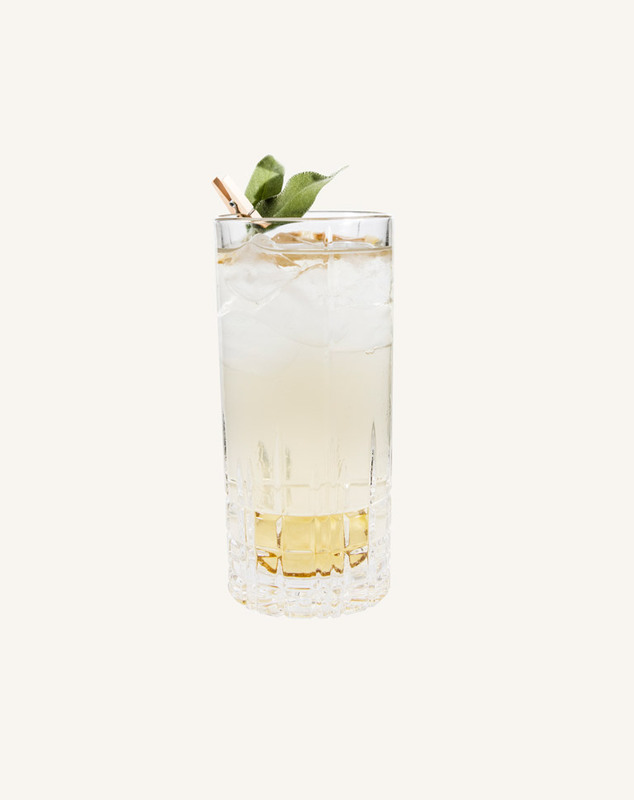 *Non-alcoholic spirit from the UK, can be bought in specialty stores the world over. **Dissolve 200g sugar with 200g hot water. Add peel from 4 clementines, leave to infuse for 24 hours, strain & bottle and store in refrigerator for up to 2 weeks. *Can be bought in specialty spirit stores, or then use another high quality bourbon. **Can be bought in specialty stores & online, or in case of absence use another Italian Bitter. Like a Negroni Sbagliato, we simply made a Boulevardier instead, and topped it with some bubbles, to both dilute and ease up the booze. As a result, we end up with something like Bourbon and Sweet Tea. Only a little more sophisticated. 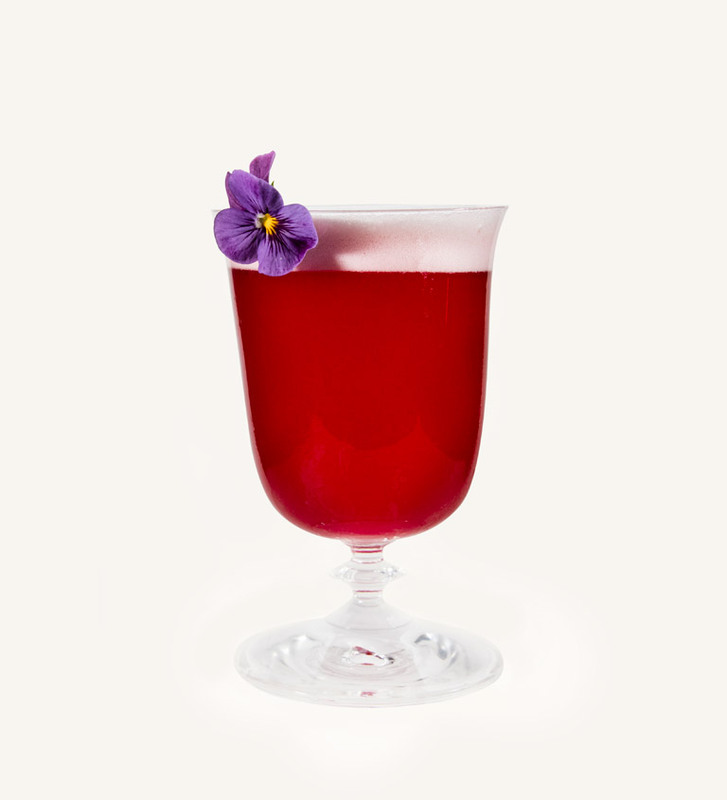 RØD to add some summer, and Hibiscus is exactly what we needed. **Can be bought in tea stores & supermarkets the world over, follow brewing method listed on the packaging. Quality Sencha recommended. ****Mix 32grams of Malic Acid with 68grams of Hot water, Malic acid can be bought in specialty baking stores (bottle and store for up to 4 weeks), or use 1cl lemon juice. Not a white lady, but a Green Lady. Sparkling Tea GRØN for a light mouse, lemongrass aroma and reinforcement of the green tea. Green color because of Sencha Tea together with umami flavours. Grapefruit for aroma and a slight acidity. Finally, paired with Seedlip Garden, for vegetal notes. The mixture creates a drink even safe for pregnancy. *Mix 10g of Hibiscus with 200g’s of Hot Water, leave to brew for 5 minutes, then add 66g of sugar to the tea mix until dissolved, bottle and store for up to 2 weeks. **Not essential for flavour but creates the light fluff on top of the drink. We love Hibiscus, so it made sense to pair Sparkling Tea RØD with a fermented cold brew hibiscus tea, adding some extra acid and aroma. We end up with a very fancy Gin fizz like cocktail. But again we use moderate amounts of the RØD, thus still being low alcoholic. When the ripe fruits of the Veritasrum are combined with the milky character of the Oolong tea and the warm spices of VINTER, you get exactly that feeling which makes winter so special; the feeling of nearness. 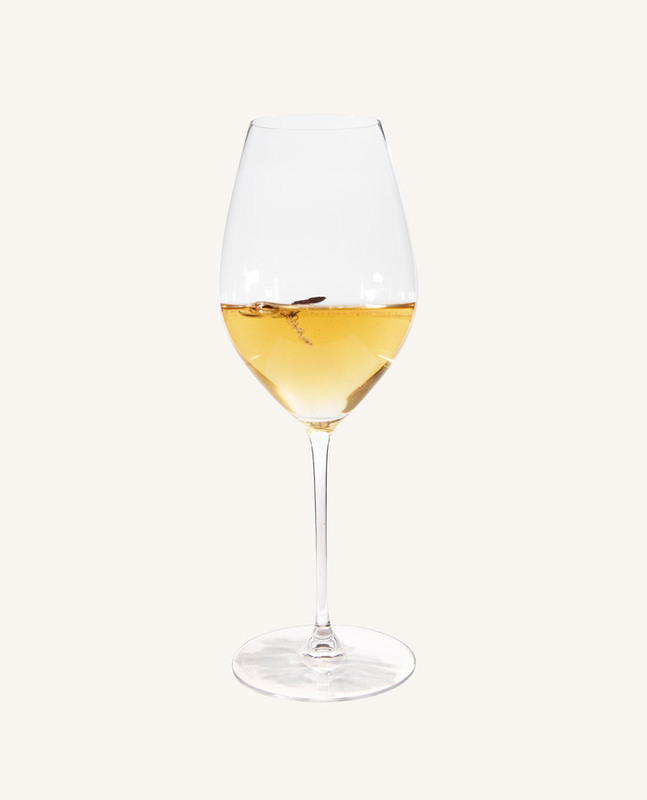 You probably connect Sherry to your grandmother, but when the crisp salinity and raisin sweetness is combined with VINTER’s spices, you are left with a quite classy long-drink –fresh, fruity and sober.